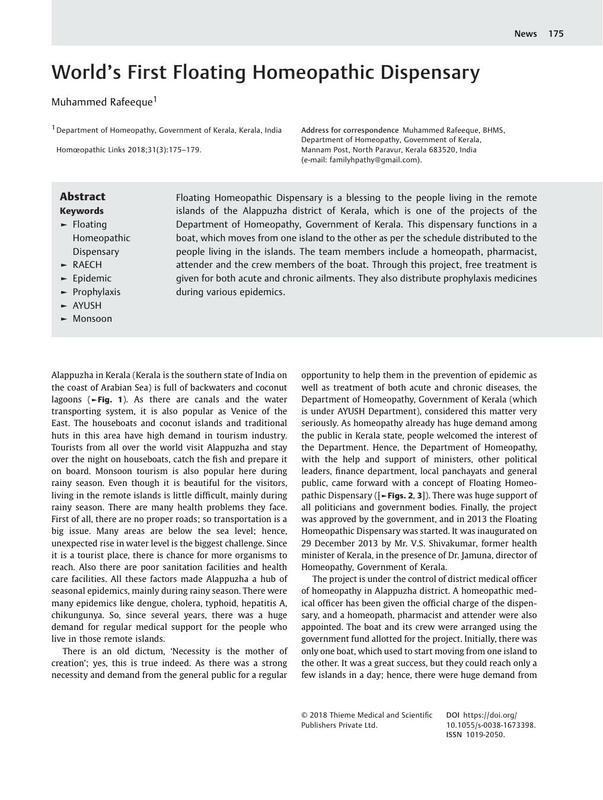 Floating Homeopathic Dispensary is a blessing to the people living in the remote islands of the Alappuzha district of Kerala, which is one of the projects of the Department of Homeopathy, Government of Kerala. This dispensary functions in a boat, which moves from one island to the other as per the schedule distributed to the people living in the islands. The team members include a homeopath, pharmacist, attender and the crew members of the boat. Through this project, free treatment is given for both acute and chronic ailments. They also distribute prophylaxis medicines during various epidemics.